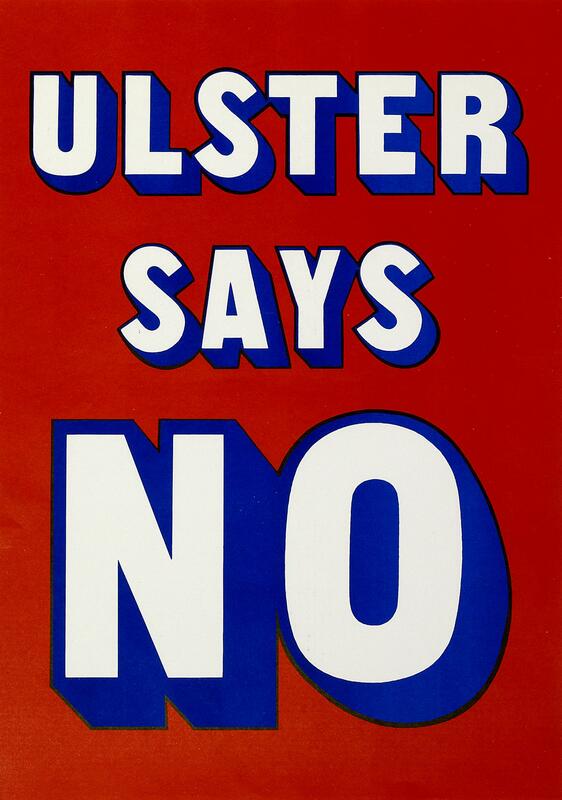 Poster issued by the Grand Orange Lodge of Ireland, 'Ulster Says No.' Printed white and blue on a red background. This iconic poster from 1985 featured heavily in unionist protests against the Anglo-Irish Agreement after the signing of the Agreement at Hillsborough in November of that year.